From the author of The New York Times number-one best-selling novel The Carpetbaggers comes a story of a tragic love triangle between Marja Fluudjincki (aka Maryann Flood), an ambitious and sensual young woman from the slums who is forced into prostitution but reinvents herself as an elegant Park Avenue madam; Mike Keyes, a hardworking, honest man who works his way up to assistant district attorney and is the only man Marja ever loved; and Ross Drego, who introduces her to money and the gambler's world of Joker Martin, and is willing to pay any price for her. And does. 79 Park Avenue starts on the seedy streets of inner New York City and ends on luxurious Park Avenue. Over time Marja claws her way from street urchin to stripper, ultimately becoming the madam of a Mob-owned pleasure empire. Marja--now known as Maryann--provides access to the city's most exciting and sensual escorts. But when Maryann runs afoul of the law, endangering her empire and angering the Mob, she must face an ambitious prosecutor who stands to benefit by bringing down the call-girl ring. However, unbeknownst to the indefatigable ADA Mike Keyes, fate has dealt him a devastating blow. The madam he's been chasing, Maryann Flood, is none other than the love of his life who has repeatedly broken his heart, Marja Fluudjincki. Does he set aside his personal feelings for the sake of justice or fall under Maryann's seductive spell, betraying his life's work? Knowing that Maryann is unafraid to use seduction to get what she wants, will Mike fall prey to her charm and violate his solid sense of justice? Harold Robbins presents a vision of post-WWII New York that is as common now in shows like Revenge as it was then--a stark reminder that corruption, greed, and vengeance are timeless. 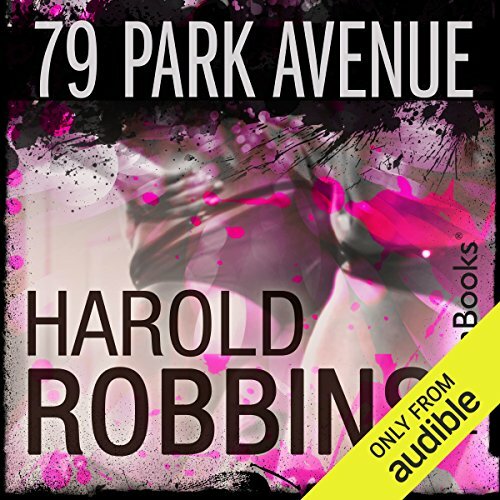 ©2014 RosettaBooks LLC (P)2015 Audible Inc.
Would you consider the audio edition of 79 Park Avenue to be better than the print version? What about Julia Duvall and Rick Slade ’s performance did you like?